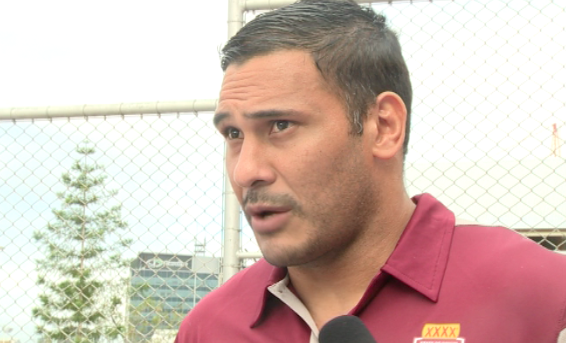 RETIRING centre Justin Hodges says he is looking forward to one last clash with New South Wales rival Michael Jennings in his farewell Origin series. Hodges, who turned 33 yesterday, has decided this will be his last campaign for the Maroons, dropping the curtain on an Origin career that started in 2002 and has been littered with injuries, dramas, clangers, controversies ... and a lot of success. The pair has battled each other since 2009, with the Broncos captain coming out on top in most series. "Michael is a great competitor, lightning quick on his feet and very difficult to handle if you give him any space," Hodges told APN ahead of his 22nd Origin. "He is a lot quicker than me, so you have to watch him closely and cut down his time. In the open field he can cut you to pieces with his speed and footwork." Hodges uses his long stride, deceptive strength and one of the best fend-step combinations in the game to beat his opponents. "You wouldn't think it, but Hodgo is one of the strongest blokes in the club, he's very hard to pull down with his long stride and long arms," Brisbane Broncos teammate Sam Thaiday said. The back-rower said he wanted to keep playing Origin until he retired from the NRL, but accepted there were a lot of good young players like Dylan Napa waiting in the wings. 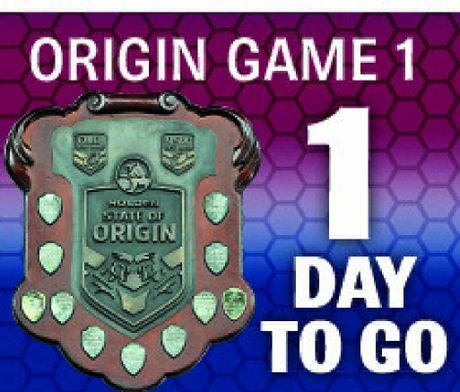 "I love playing Origin I never want it to end, but you know there are players pushing for your spot, so you play every Origin like it's your last," he said.